Transportation costs money, time, and sometimes, nerves. We can show you how your company can save money, time, and nerves with our services for business customers. Our car sharing services for business use mean you won’t have to worry about fleet management, and you’ll have more time for what’s really important. Deciding whether or not car2go is worthwhile for your company is ultimately up to you, but perhaps our checklist can help. How many items on the list apply to you? 1. Do your employees or colleagues often arrive late to work when traveling by bus and train? 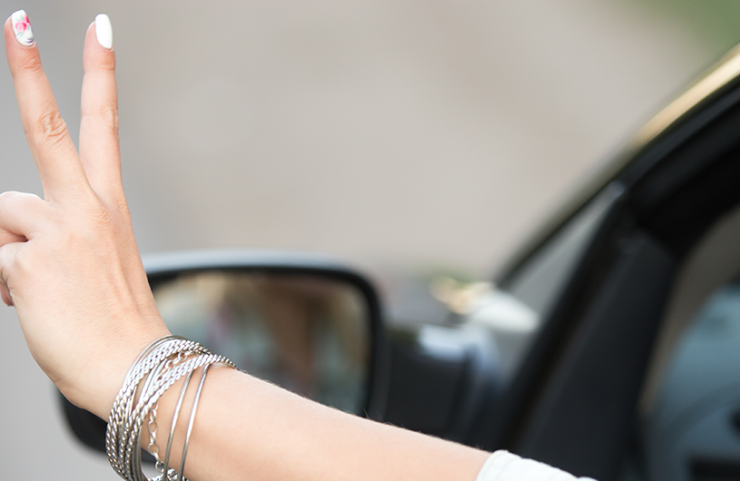 With car2go, you don’t have to worry about timetable changes and delays anymore. Simply get in, perhaps take a look at our Smart Routes, drive off, and arrive on time. 2. Monthly tickets for local public transport lie around unused. Or: You don’t get anywhere near your money’s worth from rental cars. With car2go, there are no fixed monthly costs. car2go only has to be paid for when your employees and colleagues actually use it. It’s that simple. To rent a car2go, all you need is your smartphone and our app, which is available for all common operating systems, i.e. iOS, Android, BlackBerry and Windows..
3. Business trips cause you a headache. 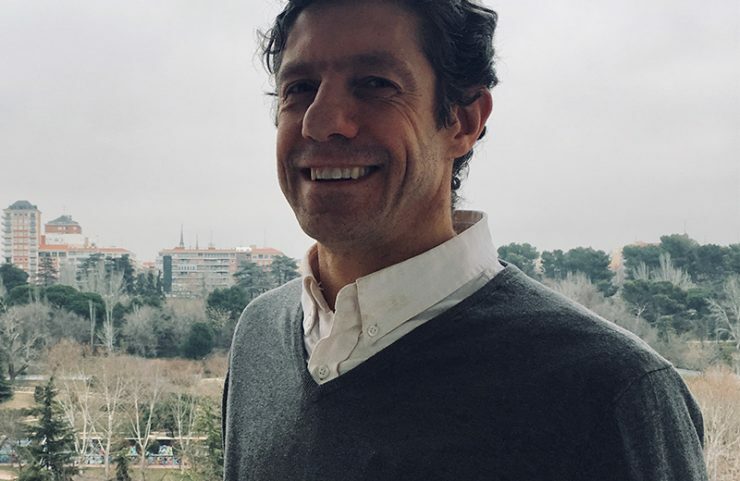 When it comes to business trips to all our other locations, you won’t need to worry anymore: your company can use our car sharing services in all car2go locations within your country. There is virtually no difference whether you get into the car2go in Austin, Denver or NYC. 4. You’d be happy to have a final mobility plan that doesn’t constantly have to be revised. With car2go, all the costs are dependent on you, your employees and your colleagues as business customers are known from the beginning. Our prices are all-inclusive: insurance, tax, fuel, parking fees and maintenance. Budgeting doesn’t get more in line with reality than this. 5. Is searching for a parking space a touchy subject for your company’s employees? A smart fits into virtually any parking spot. So you can park our car2go in a parking lot within our business region no problem at all. There aren’t any fixed rental stations. Simply find the nearest car2go via app or online at www.car2go.com. 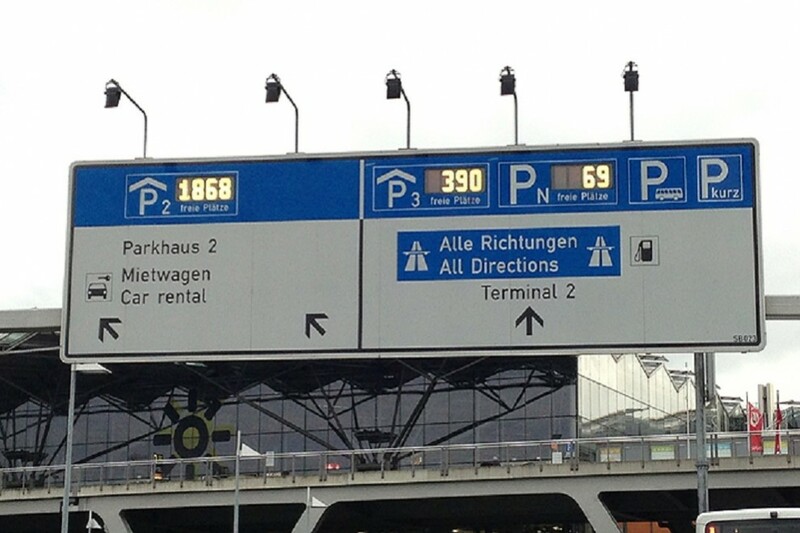 You can also park a car2go at airports. 6. Your employees in accounting struggle not to roll their eyes when you mention travel expense claims. As a car2go business customer, you get a collective statement every month. It doesn’t matter whether it’s a short appointment or a whole day: we list the journeys down to the exact number of minutes and kilometers. You can view all the journeys from the past month, with start and destination addresses, rental duration, route and price, on the car2go website. So you can stay on top of your costs. 7. Is getting to the airport a nightmare? 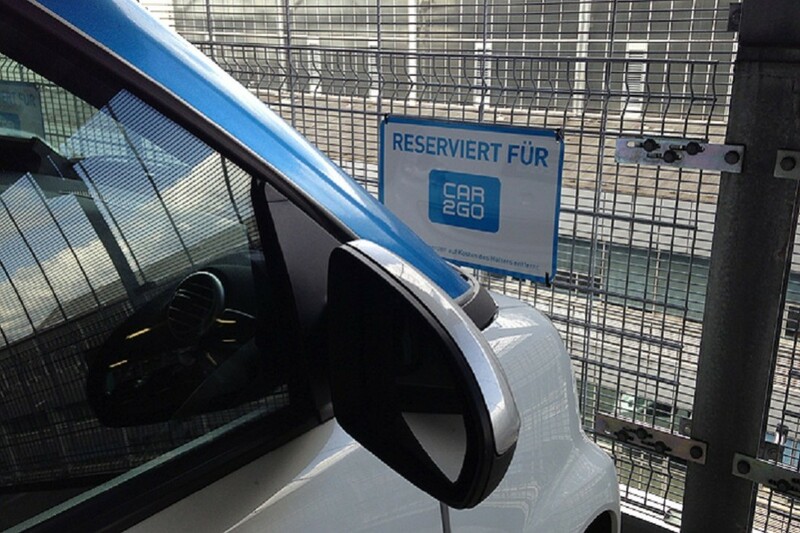 As a car2go business customer, you can simply leave your car2go at the airport at the end of your rental. We also have free parking spaces available for you at many airports. 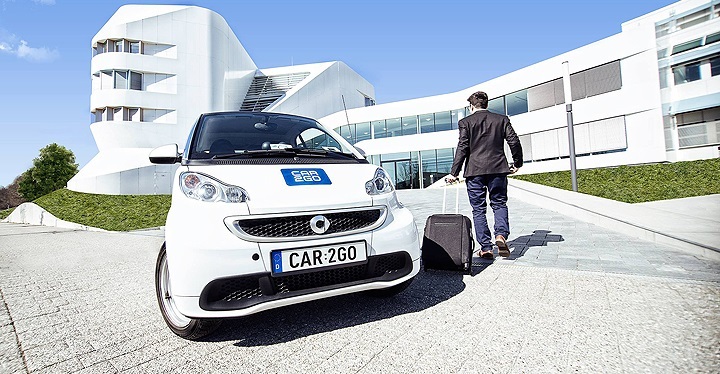 car2go is also a great solution for business trips. 1. 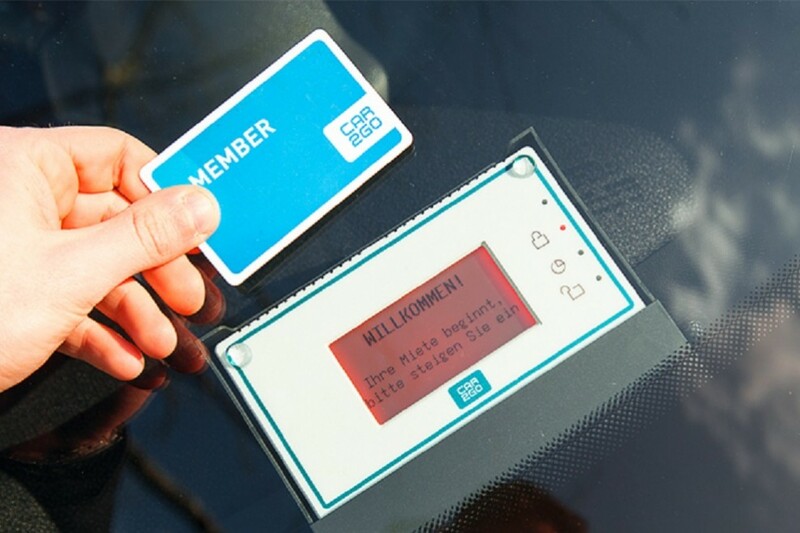 Register as a member if you don’t already have a personal car2go account. 2. As a registered member, it is now possible to create a company account. 3. As the creator of the company account, you are automatically assigned the role of “Company Administrator”. 4. There are two more roles: “Driver Manager” and “Accountant”. You can either take on the roles yourself or delegate them to other colleagues. 5. You will receive a confirmation email with further instructions. 6. Upon approval of your company account, you can, as Company Administrator, invite colleagues by email, manage their data or distribute the roles as you wish. You aren’t the person in your company who makes this decision? Your boss would no doubt be happy to hear some tips on how to improve the business. 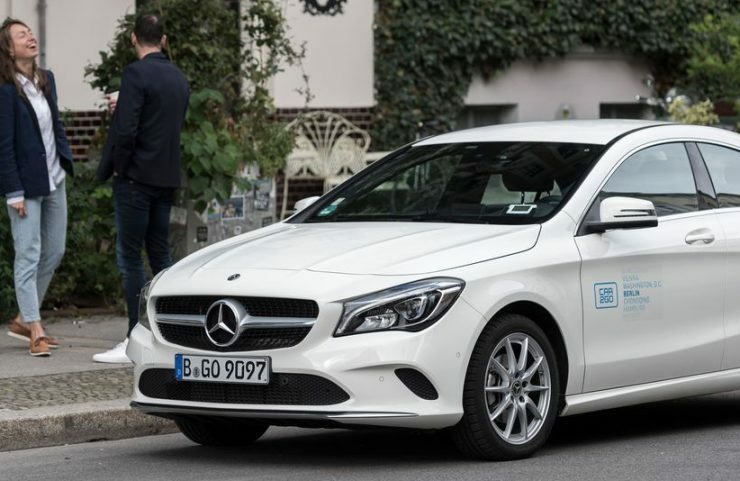 You can find more information about our carsharing services for business customers on our website. Do you have any questions? Send them to us at business.de@car2go.com, or write them in the comments! We’d be happy to advise you, without obligation.